24 Shade Immaculate Collection Palette by Makeup Academy (MUA) - Review & Swatches! | Sahrish Adeel - Malaysia based Pakistani Beauty & Lifestyle Blogger! 24 Shade Immaculate Collection Palette by Makeup Academy (MUA) - Review & Swatches! Have you ever wished to own an eye shadow palette that has both matte and shimmer shadows and does not cost much as well? Well here is one that I have been using lately. This palette has a plastic body and the lid is transparent which I like so much. Palette is nicely slim. Contains both shimmer and matte shadows. Really inexpensive for the quality. Stays all day if used over a primer. Light shades in shimmer shadows can be used as a highlighter for face. No fall outs except for the black shadow, which is quite normal. Comes with a dual ended applicator that had foam on ends. These shadows need to be applied over primer or they will tone down in 1-2 hours. These swatches are without any primer. I will post swatches with primer in my future post. You can see some of the shadows came out really great and they are two swipes each. I have used these over MUA's eye shadow primer, and the colors came out really vibrant and nice. I have had a really good experience with this palette. I love how it has both shimmer and matte shadows and so many looks can be created with this palette as it has a very good selection of colors. I keep it in my travel bag when I am on the go because it has some neutral shades as well and I don't need to carry two separate palettes for regular and party makeup. The applicator that comes with it is not bad but I personally never use such applicators for eye shadows. I am more of a brush person. But they work well to place the shadows on the lids. I will highly recommend this palette to everyone, specially those who want to keep things under budget. Just remember that color pay off is not really good if a primer is not applied. The 24 Shade Immaculate Collection Palette by Makeup Academy (MUA) costs £8 (RM 40, PKR 1175 approx) and can be bought online from MUA's website here. Check out their Facebook fan page here. MUA ships worldwide. 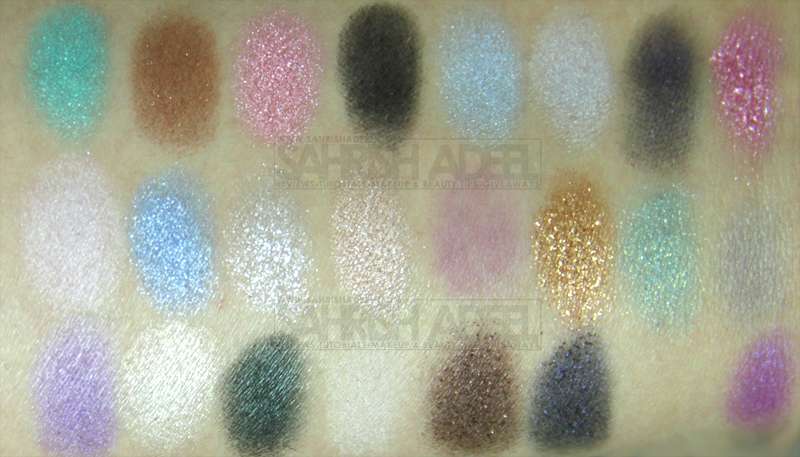 If you are living in Pakistan, you can buy this palette for PKR 1300 from Just4girls.pk, check out their website here. 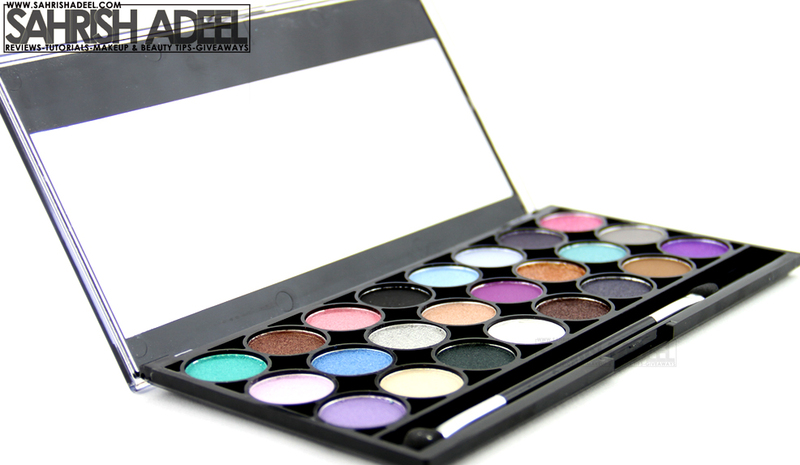 Have you tried any eye shadow palette by MUA yet? You can also check out my Haul post here where I have more products that I bought from MUA recently. Cleansing & Polishing Tool by Sigma - Review!